Cycling or Mountain biking in Tibet is another adventure most remarkable adventure activity for tourist. 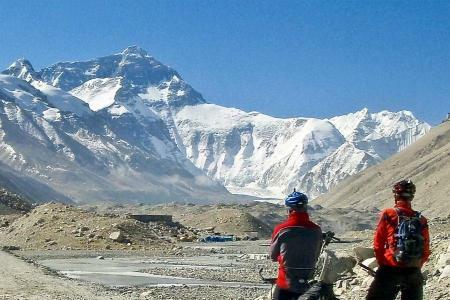 Cycling itself is one of the adventurous in life while cycling on the Tibetan pleteau is a level of adveture in itself. You could imagin how it will once you are doing mountain biking in Tibet. Exploring cultural sites, lakes and people of the land, Mountain biking on free way of newly developed road would be ideal choice for every cyclist. It might be dream to take a trip of mountain bike whether you are a day free in Lhasa city or some days toward Namtso lake or nearby, or taking long biking journey toward everest base camp, every program gives you a challenging and most remarkable and fantastic experiece!